Two of Europe’s leading Parkinson’s organisations – the European Parkinson’s Disease Association (EPDA) and Parkinson’s UK – have joined forces to launch a global campaign to raise international awareness of the disease, 200 years after it was first established as a health condition. Yet, still there is no cure. The #UniteForParkinsons campaign will mark this significant milestone on World Parkinson’s Day, 11 April 2017 – the birth date of Dr James Parkinson (1755–1824) who first identified the condition in his landmark paper ‘An Essay on the Shaking Palsy’. Already supported by many Parkinson’s organisations and campaigners around the world, the campaign aims to raise an unprecedented amount of awareness on this momentous day by using the hashtag #UniteForParkinsons on social media. As the campaign’s official media partner, Parkinson’s Life will play a key role in spreading the word, sharing your stories and telling the world that 200 years without a cure is too long. Let’s give Parkinson’s the attention it deserves. 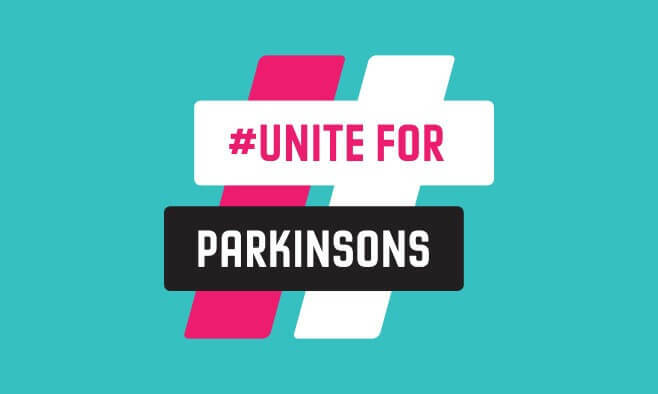 Use the campaign hashtag #UniteForParkinsons on Facebook, Twitter, Instagram or any social channel and add the #UniteForParkinsons logo or Twibbon (a temporary logo overlay added to your existing profile picture) to your social profiles or your website, blog, emails. You can download the logos for free in the media pack. Share messages about why you’re uniting for Parkinson’s. Encourage your friends and followers to get involved too with tweets and posts using the hashtag. By using the campaign hashtag, logo and messages, you will be raising awareness wherever you are in the world. To find out more about how you can support the campaign – both online and offline – and access a number of campaign resources, visit the dedicated campaign website www.worldparkinsonsday.com. Resources are available in English, French, German, Italian, Spanish and Welsh.